I’m with her! Fr. RB Williams OP stands in Wrangell with a statue of St. Rose of Lima, patron saint of St. Rose parish in Wrangell, Alaska. Both wear Dominican robes. Fr. Williams led parish missions in both Wrangell and Petersburg in April. Parishes in Wrangell and Petersburg held parish missions at the end of April, led by Fr. 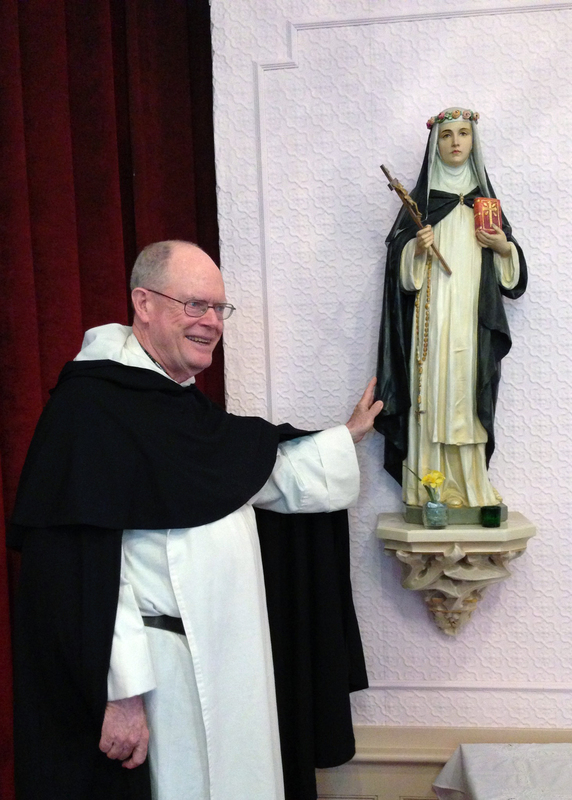 RB Williams OP — shown here with a statue of St. Rose — both in their Dominican robes.